Sometimes it takes a while to see an idea become a reality. We first started working with local fishers in the villages of Ang Noi and Sakai along the Mekong River in Laos back in 2013. The villagers were near a reported spawning area for the endangered Jullien’s golden carp (Probarbus jullieni), an endangered fish that we had taken a particular interest in, and they were not too far of a drive from our office in Vientiane Capital. We decided these villages were a good location to pilot test some methods for standardized data collection on fisheries in Laos. After the communities agreed to participate in our project, we trained local fishers in how to record information about their fish catches. We learned a lot from the experience, and at the end of our three-month pilot study, we asked the community for their feedback. The villagers voiced concerns about illegal fishing in their village, and about their lack of resources and authority to enforce fishing regulations. 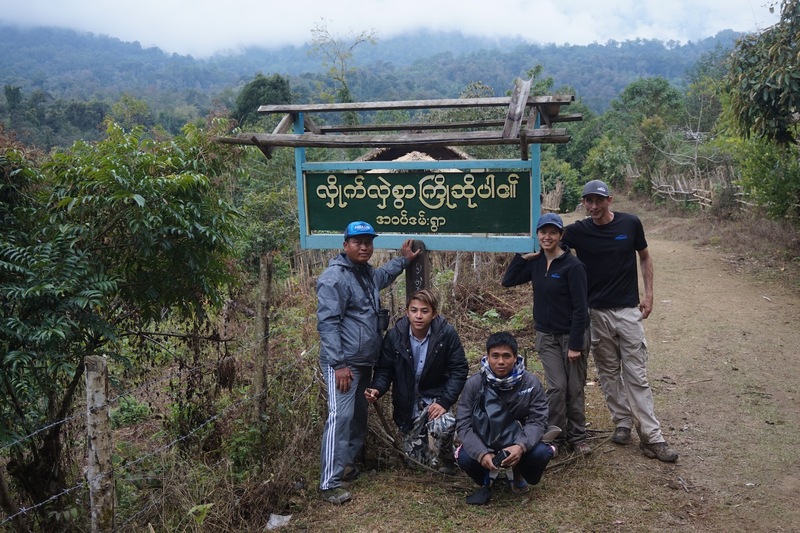 They also expressed interest in establishing fish conservation zones (FCZs), or no-fishing areas, like were doing with communities in northern Laos, and we wanted to help them find funding to do the same. Fast-forward to 2018, when we received a new grant from the Critical Ecosystem Partnership Fund (CEPF). 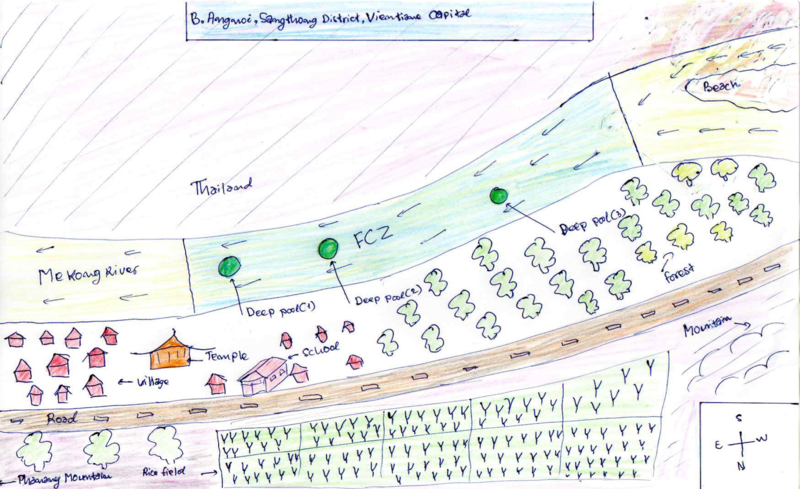 The goal of this “FCZ Network project” is to establish two new FCZs at the villages of Ang Noi and Sakai, and strengthen the management of four existing FCZs further upstream on the Mekong River that we have helped establish in previous projects. 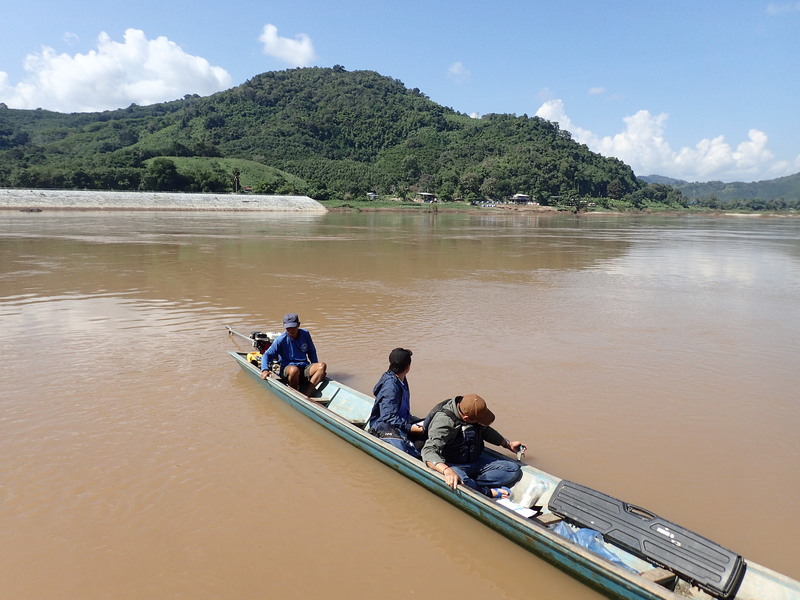 We hope this total of six FCZs managed by nine communities can function as a “network” of protected areas along the Mekong River to help populations of endangered fish like the Jullien’s golden carp. 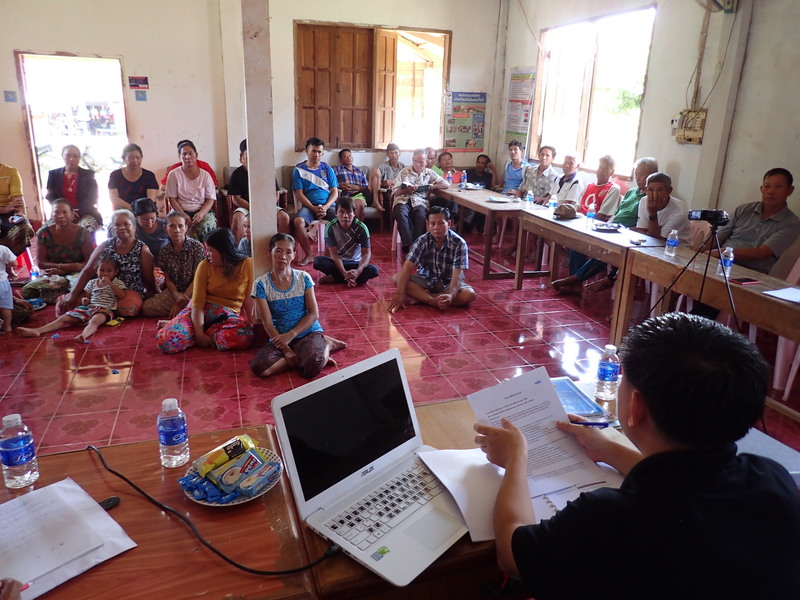 One of our first steps to launch this project in the fall of 2018 was to conduct consultation workshops with the communities in Ang Noi and Sakai to see if they were still interested in establishing FCZs. We discovered the answer is yes, and that conservation issues appeared to be more serious than ever. Not only are people engaging in illegal fishing practices, such as electrofishing and dynamite fishing, the villagers also expressed concerns about illegal drug trafficking with Thailand across the river. 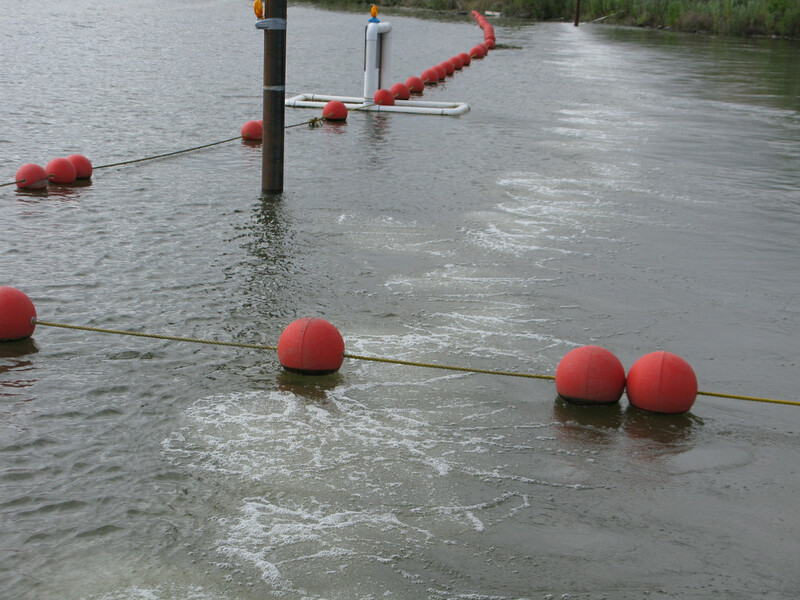 They reported that that those addicted to drugs may use illegal methods like electrofishing and dynamite to haul in lots of fish for some quick cash. Their stories revealed how conservation challenges can intersect with social ones. 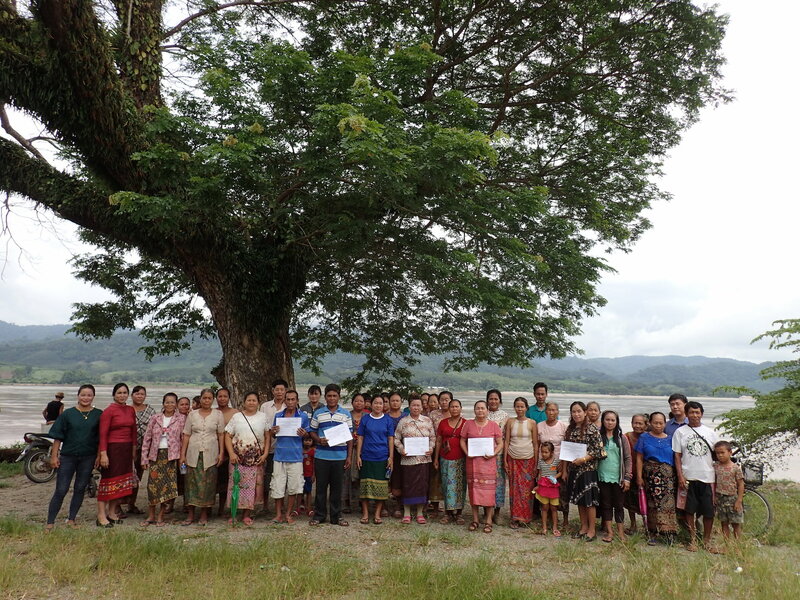 During our additional visits to the communities, the villagers drew proposed locations for the FCZs, and our team went out with a few members of the village committee to survey habitats and map the locations of the protected area boundaries. This included one FCZ in Ang Noi village that covers three deep pools near the upper part of the village center, one FCZ in Sakai village that covers one deep pool near the river temple, and one FCZ at a gravel bed near the middle of the river. We then discussed and further refined the FCZ boundaries based on feedback from the communities. Although FCZs take a lot of effort and commitment to implement, and are only one part of the solution for sustainable fisheries, we are glad to finally bring the topic of fish conservation full circle in these villages thanks to CEPF, and help the communities move forward with their desire for fisheries co-management.